(Isaac) Ignaz Moscheles (German: ˈig.nats ˈmɔ.ʃɛ.lɛs) (23 May 1794 – 10 March 1870) was a Bohemian composer and piano virtuoso, whose career after his early years was based initially in London, and later at Leipzig, where he succeeded his friend and sometime pupil Felix Mendelssohn as head of the Conservatoire. After his father’s early death, Moscheles settled in 1808 in Albrechtsberger for counterpoint and theory and Salieri for composition. At this time he changed his first name from 'Isaac' to 'Ignaz'. He was one of the leading virtuosi resident in Vienna during the 1814-1815 Congress of Vienna and it was at this time that he wrote his enormously popular virtuosic Alexander Variations, Op. 32, for piano and orchestra, which he later played throughout Europe. Here too he became a close friend of Meyerbeer (at that time still a piano virtuoso, not yet a composer) and their extemporized piano-duets were highly acclaimed. Moscheles was also familiar with Hummel and Kalkbrenner. Among the virtuosi of the 1820s, Hummel, Kalkbrenner, Cramer, Herz and Weber were his most famous rivals. Moscheles was still a practising Jew in Vienna in 1814-15. His wife notes that he was a member of the congregation in Vienna, and that he wrote for the Vienna Jewish community an oratorio celebrating the peace. Throughout his life, like many other musicians of Jewish origin, he remained close to other musicians of similar descent such as Felix Mendelssohn, Anton Rubinstein, Joseph Joachim and Ferdinand Hiller. He also remained in contact with patrons of Jewish origin such as the Eskeles family in Vienna, the Leo family in Paris, and the Rothschilds in England. 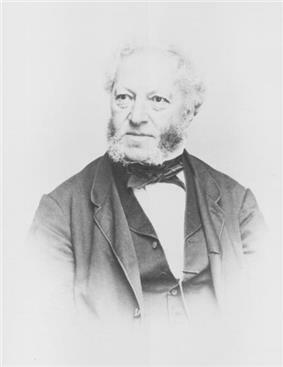 He married Charlotte Emden, daughter of a Jewish banker and a cousin of Heinrich Heine, in the Frankfurt synagogue in 1825. Nonetheless, after he settled in England he clearly found it convenient to be, technically at least, a member of the Church. His children were all baptised at birth and he and his wife were baptised in 1832. 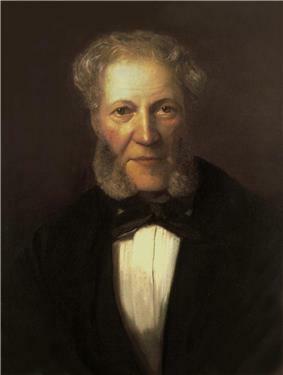 Moscheles travelled extensively in Europe as a pianist and conductor, eventually settling in London from 1825-1846 where he became co-director of the Royal Philharmonic Society in 1832. He never disavowed his Jewish origins and frequently took his family to visit his relatives in Prague, all of whom had retained their Jewish allegiances. This is a family the like of which I have never known. Felix, a boy of fifteen is a phenomenon. What are all prodigies compared with him? ...He is already a mature artist. His elder sister Fanny is also extraordinarily gifted. Thus began a relationship of extraordinary intensity which lasted throughout and beyond Mendelssohn's life (he died in 1847). Moscheles was instrumental in bringing Felix to London for the first time in 1829 - Abraham entrusted Felix to his care for this visit. Moscheles had carefully prepared for it. In London, apart from becoming a regular and successful performer, as well as a musical adviser for the soirées of the Rothschilds, he had become an invaluable aid for Prince Albert', a sinecure which nevertheless confirmed his status. Among his 142 opus numbers, Moscheles wrote a number of symphonic works. Apart from an overture and a symphony, all are scored for piano and orchestra: eight piano concertos (of which the last has only come down to us in fragmentary form, no orchestral parts having survived) and sets of variations and fantasias on folk songs. The main theme of the finale of his fourth piano concerto is based on the tune "The British Grenadiers". Moscheles also left several chamber works (including a piano trio that has been recorded), and a large number of works for piano solo, including sonatas and the études that continued to be studied by advanced students even as Moscheles's music fell into eclipse. There are also some song settings. In the last decade, with the modest but noticeable revival of interest in compositions by this composer and those of his colleagues, more of Moscheles's works are being made accessible on compact disc, especially by small and independent record labels. All the completed piano concerti and fantasias for piano and orchestra are available on the Hyperion Records label, played by Howard Shelley, who also conducts the Tasmanian Symphony Orchestra; they have also issued the complete piano studies, played by Piers Lane. Ian Hobson has also recorded the first six, and included a pair of variations not recorded by Shelley. Conway, David (2011). Jewry in Music: Entry to the Profession from the Enlightenment to Richard Wagner. Cambridge. ^ C. Moscheles (1873), 2 vols.